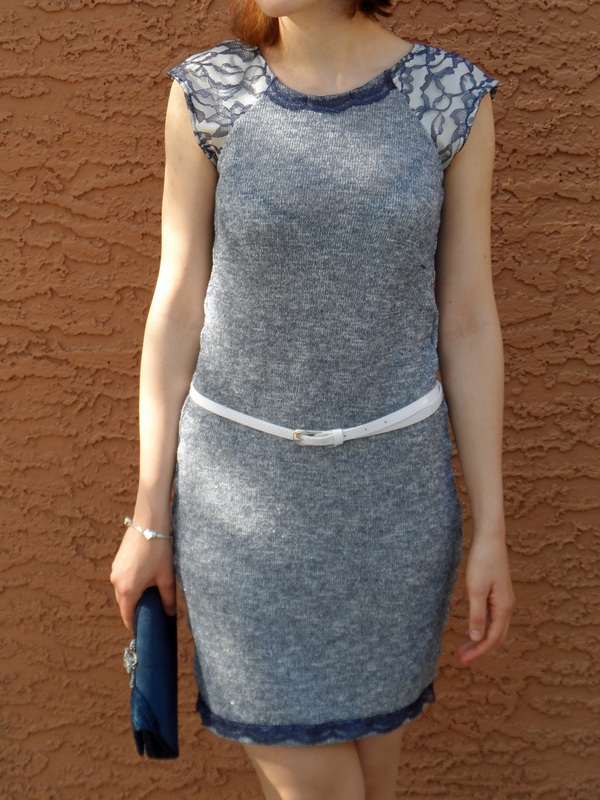 Sew stretchy: Blue knit & lace dress – Go ask Alisa – DIY capsule wardrobe one stitch at a time! As usually you can find my project at Burda studio here. That is also one of the projects that I will be submitting this month for The Monthly Stitch challenge. I decided to add a bit more of a twist by adding scalloped lace edges as a rim of the neckline and at the bottom, on both sides. In my opinion, this dress would be suitable better for autumn or winter, since it is made out of sweater knit, although it is a quite fine knit and blends in together nicely. P.S. : It is not the first raglan t-shirt dress that I made, check out this one. Very cute. Wish I could sew! Thank you very much! You can, it is relatively easy! Do I need a sewing machine to start? Thanks. I’ll have to do that and teach myself. Fab dress! The lace trim works really well with the knit fabric . Fabulous! So creatinve! You look fantastic! I hate spandex – but the same as you – I like sweater type of knit fabrics. Thank you! Yes, spandex is a big NO NO for me. I rather install a zipper in my cotton dress, than use spandex. But then again, people are different. 🙂 Thank you for stopping by! Very cute! Great pairing of fabrics. And I like the added belt. Previous Previous post: Weekly photo challenge: On the MOVE!